Merry Christmas from all of us at Sound Start! This season of giving, Savannah Speech and Hearing Center is receiving a special gift from The Rite Aid Foundation, which is helping us to continue making a difference in the lives of children in our community. #GivingTuesday is a global day of giving fueled by the power of social media, and to celebrate, The Rite Aid Foundation has generously gifted us with a $5,000 grant as part of its KidCents Thanks For Giving Holiday program. We also have the opportunity to receive an additional grant of $2,500 by being the charity that has the most likes, shares and comments on our social media posts on #GivingTuesday. Please be sure to check out our Facebook page on Tuesday, November 27 and help us spread the word! Our team has decided to use this grant to assist our Sound Start program with needed learning and therapy materials, tests, and educational toys for the children. 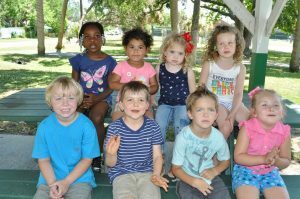 The Rite Aid Foundation created the KidCents Thanks For Giving Holiday program to help us support our efforts to improve the health, safety and well-being of local kids. In total, The Rite Aid Foundation is donating $2.2 million to more than 440 charities as part of this program. 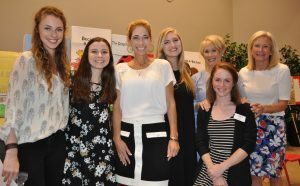 We look forward to continuing our partnership with The Rite Aid Foundation and are excited by the opportunities that KidCents brings to our organization and those we help. Have a wonderful holiday season and a happy, healthy new year! 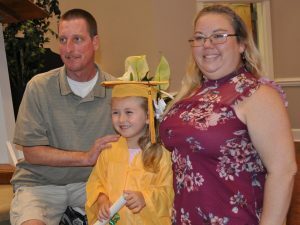 We’re proud of our Sound Start program and the success for children like Caroline! 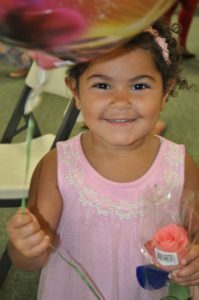 Savannah Speech and Hearing Center is proud of our Sound Start program and the success for children like Caroline! Please watch her story in the link below. One For All…All for One…please support this year’s United Way campaign, so programs like Sound Start can continue to make a difference in children’s lives. Thank You! 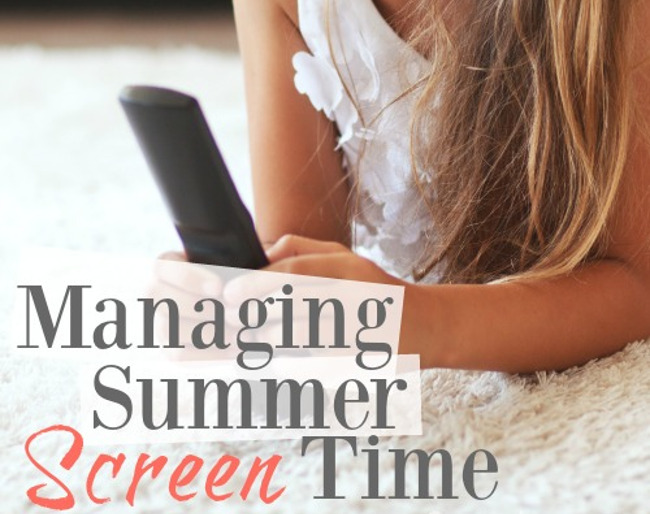 As we officially kicked off summer last week, the American Speech-Language-Hearing Association ASHA provided some helpful information in helping parents with limiting the amount of screen time used especially with tech-obsessed children. Here is their Digital Diet for managing technology in children, allowing more time for conversation and human interaction which are key to a child’s communication health and development. Create a family technology plan—together. An agreed upon set of rules around family members’ technology use (when, where, how much, for what, with whom, etc.) is a good way to keep everyone on track. By involving your kids in the process, you are more likely to achieve the results you want. Technology is often an integral part of older children’s’ social experience—so being respectful of this will help. Schedule regular check-ins to see how the plan is working and to determine whether you’re actually substituting tech time with more quality time together. Sign a pledge. Make your plan official by having family members sign a pledge. It helps hold everyone accountable. This is a model that has been used for years, especially when it comes to issues such as drinking and driving, texting and driving, etc. Here are some examples from Common Sense Media that you can use and modify. Focus on the positive replacements for technology, such as uninterrupted family dinners. Keep a log. How much time does everyone in your family spend online? Alternatively, how much time does the family spend talking and engaging in activities together? Just as a food diary can be eye opening, keeping a log of a typical tech week may help identify habits to change and goals to set in terms of family bonding and communication. Sponsor tech-free nights/events. Whether it’s a game night, a neighborhood block party, or another type of gathering, going tech-free on occasion can provide rich opportunities to build family and social relationships. Designate tech-free zones in the home. The kitchen, bedrooms, the family room . . . there may be one place in your home that you can keep devices out of, as a general rule. This helps with the temptation to constantly check your phone or jump at the sound of every incoming notification. It makes a difference to even have 30 minutes free from tech distractions. Talk over text, when possible. Texting offers tremendous convenience for parents to get in touch with their kids. But texting is not a replacement for verbal exchange. Tone, facial expressions, and other nonverbal signals are just some of the ways in which texting falls short (emojis don’t do the trick). Try to avoid texting your child when both of you are at home, as a start. Take a vacation from your technology. Some parents have turned to tech-free vacations to connect more with their kids. Unplugging completely may not be realistic for everyone. However, there may be specific activities or times when you can leave the devices behind. 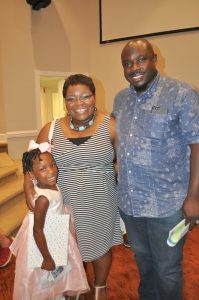 Family communication can increase. Everyone will be “in the moment” instead of documenting the moment for Facebook or Instagram. Listen safely. Many kids spend hours a day with the volume cranked up, using headphones or earbuds. Unfortunately, they are putting their hearing at serious risk. This damage is irreversible. The World Health Organization has labeled unsafe listening an international health threat—1.1 billion young people are at risk of harming their hearing from unsafe listening of personal tech devices or at noisy entertainment venues. This is a message that children need to “hear” from their parents. 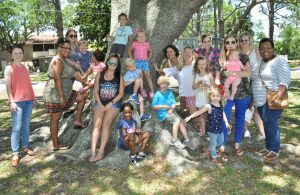 SAVANNAH, Ga. – Savannah Speech and Hearing Center, a nonprofit organization serving the speech pathology and audiology needs of the Coastal Empire, celebrate the Sound Start Class of 2018 earlier this month. 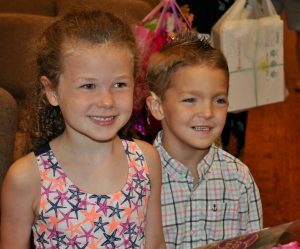 The Class of 2018 included three graduates who will move on to K-5 this fall. 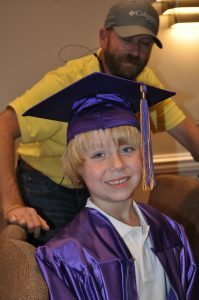 The three graduates moving on to K-5 earned reading, sight word reading and math awards. Additional awards were given to other students including phonics listening award, the award for reading over 200 books with parents, as well as citizenship and friendship awards. All students presented progress performances in areas of listening, reading, language development, vocabulary, phonemic awareness and speech. This year’s ceremony was themed “Brown Bear Brown Bear What Do You See?”, representing the ability to break through communication barriers to become a strong oral/aural communicator who is able to understand and use spoken language. 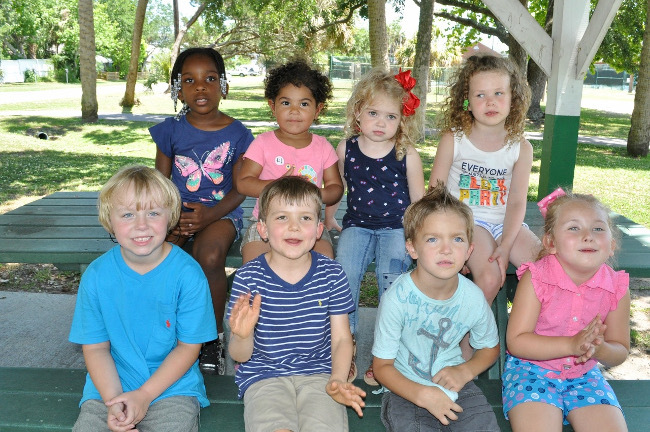 In August 2007, the Board of Directors of Savannah Speech and Hearing Center approved the Sound Start program, a never-before-available service in this area – an auditory/oral preschool program. 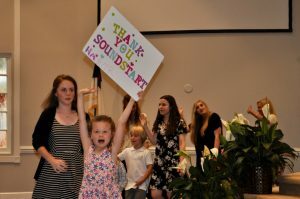 With the help of dedicated staff and community support as well as a coordinated effort with Calvary Day School in Savannah, Sound Start opened its doors to children with hearing loss of Savannah and the surrounding communities in Georgia and South Carolina whose families had chosen spoken language as the communication option for their child. Thus far, the program has been an overwhelming success. 6,940 students! That’s the number of students screened in 2017 through Savannah Speech and Hearing Center’s Hearing Screening Program! 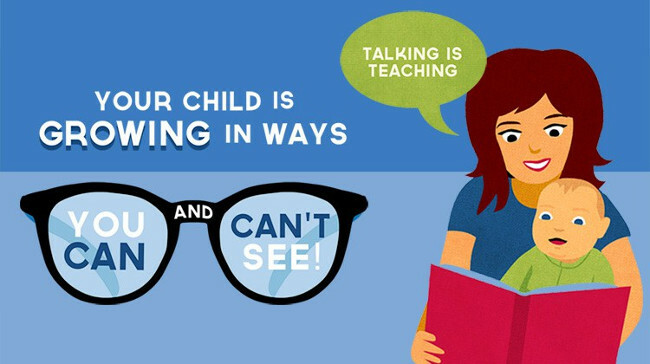 Children with hearing loss fall behind peers in speech, language, learning, and social skills. To identify and serve these children, the Georgia Department of Public Health mandates school hearing screenings. This is an enormous task, but we made it happen. In 2017, we screened at 31 public and private schools, preschool through 11th grade, in Chatham, Bryan and Effingham Counties. This task could only have been accomplished with the help of generous volunteers like Linda Larson and Charles Golphin, who we proudly nominate for Volunteers of the Year! Linda retired from Lutheran Services in 2014 and is an active SSHC Volunteer. She participated in the Center’s training and now goes with us into schools to perform hearing screenings. She enjoys interacting with students of all ages and believes the time spent screening keeps her young! 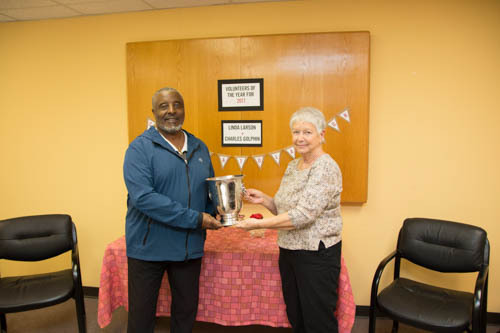 Charles retired to Savannah from Miami, where he worked as a Public Administrator, and at one time served as a Loaned Executive for United Way of Miami. 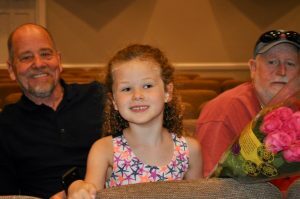 Charles also trained as an SSHC Volunteer, and enjoys going to schools, meeting students, and knowing he makes a difference by performing hearing screenings. Linda and Charles are generous, kind and always willing to show up. SSHC is grateful for their dedication. One student at a time, almost 7000 times in a school year–that’s an invaluable gift from these extraordinary volunteers. Looking for non-technology holiday gift ideas to build kids’ language and learning? Although there are certainly (way too) many tablets, video games, and internet-connected toys, there are many that are non-technology and high-quality that can build children’s language skills and promote learning and foster social interaction. 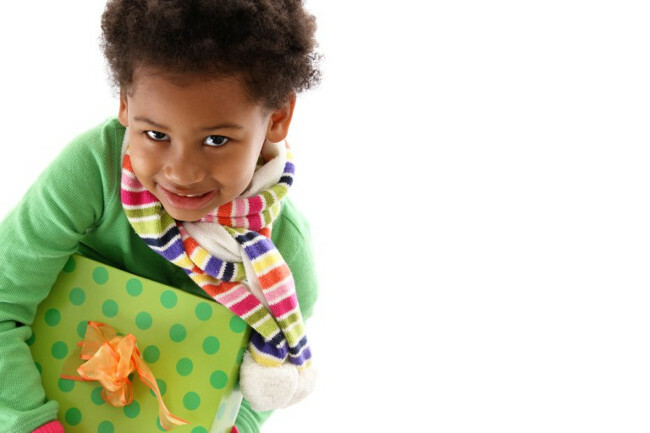 As the holidays approach, children fill their wish lists with items like tablets, video gaming consoles, smart watches, and even Internet-connected traditional toys such as dolls and teddy bears (advertised as being able to “converse” with kids). But—as I wrote in a blog post last year—audiologists and speech-language pathologists can take advantage of this time to help clients, family and friends find a technology balance and spread awareness about high-quality, off-line activities to help build children’s language skills and promote learning. As always, children who use low- and high-tech augmentative and alternative communication devices (AAC) should continue to use them at all times—and in an interactive way. Mad Libs, word finds and crossword puzzles. Not only do these games build vocabulary and literacy skills while keeping kids of many ages entertained on winter days, but they also provide fun family activities. There often are “junior” editions available for new readers. Photo albums/scrapbooking materials. Many of us keep hundreds—if not thousands—of photos on our phone, but creating physical photo albums or scrapbooks provides an excellent opportunity to talk about family members, memories, family trips or events, and much more. Camping supplies. Whether used for real camping (another great opportunity to disconnect, talk and bond with kids) or pretend indoor play, items like tents, flashlights and sleeping bags make excellent gifts. Nothing gets the imagination and conversation going like a tent or fort in the living room. And basics such as making flashlight animals on the wall stand the test of time—even in a gadget-heavy world. Magazine subscriptions. Prices are down on most magazine subscriptions, and there are many high-quality publications specifically tailored for children (Highlights or National Geographic Kids, for example). Kids will be excited to get their own mail, and practice makes perfect when it comes to reading. Puppets or magic kits. These activities encourage creativity and help build language skills as children develop story lines and dialogues. Parents and siblings will also enjoy the free entertainment. Clay or Play-Doh. These items let kids get their hands dirty and help with fine-motor skills. They also help with language and learning. Children can talk about their creations and have conversations with different characters. Journal or diary. A fabulous gift for practicing writing skills and building literacy that’s appropriate for many different ages. Karaoke machine. An alternative to family movie night, this can bring the whole family together. And singing along to the words means kids practice reading, too! Building, science and engineering sets/tools. Family members can work on these activities together, talking, building vocabulary and problem-solving as they go along. These activities are more popular than ever. Bikes, trikes and scooters. Physical movement can be paired with language development opportunities. Kids can talk about what they see, hear, smell, feel and think about as they ride. These vehicles let kids get out, explore nature, their neighborhoods and the world around them—and are activities parents and kids can do together. Whatever gifts parents choose—tech gifts included!—it’s always valuable to remember the importance of talking and interaction to children’s development. There’s no better time for conversation and family bonding than the holidays. Diane Paul, PhD, CCC-SLP, is ASHA director of clinical issues in speech-language pathology. She is an affiliate of ASHA Special Interest Groups 4, Fluency and Fluency Disorders; and 12, Augmentative and Alternative Communication. dpaul@asha.org. As babies grow, they should also be developing communication skills, and parents should expect their child to hit certain milestones at certain ages. Read below to learn about those milestones and ways to support children’s development through daily reading.